Prodways Group, a French 3D printer producer and service provider, has announced a new Digital Light Processing (DLP) 3D printer through its company Solidscape. Based in New Hampshire, Solidscape designs and manufactures 3D printers and materials for rapid prototyping and creating master molds. The new resin production 3D printer, SoldiscapeDL, is the first system within the company’s range using DLP technology and is aimed towards the jewelry market. Prodways acquired Solidscape, a former subsidiary of Stratasys, in 2018. Now, through combining Prodways’ proprietary DLP technology MOVINGLight with Solidscape’s expertise, the companies have created SolidscapeDL. Custom resins for the machine have also been developed through Prodways subsidiary DeltaMed GmbH, which was acquired in 2014. On launch, this range includes EmeraldCast, DiamondCast, and ProtoCast, each designed for a specific application in jewelry. According to the Prodways Group, currently, around 10% of global jewelry production uses direct 3D printing, mainly in the high-end jewelry segment. Thus, with the aim to “pave the way to the overall jewelry market direct 3D printing revolution”, the company’s objective for Solidscape is to increase this percentage to 50% within 5 years. As a result, the SolidscapeDL, which will join Prodways Group resin 3D printer portfolio, is targeted at a wider range of jewelry manufacturers for “smarter, more efficient, beautifully precise and profitable” production. 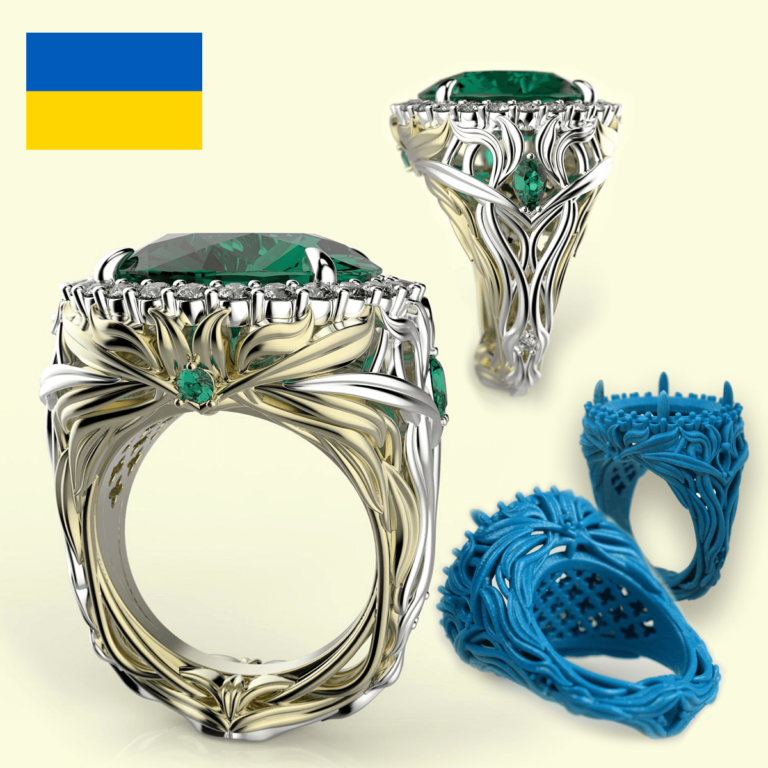 The “Drop of Freedom” ring from Anna Popovych was created using Solidscapes 3d printing technologies. Image via Solidscape. Founded in 1994, Solidscape has over 20 years of experience designing and manufacturing high-precision 3D printers capable of producing objects with wax patterns ideal for lost wax investment casting and mold making applications. Such patterns provide high-quality surface finishes, eliminating the need for post-processing. The company recently released the Solidscape S390 high precision 3D printer, a system also designed for custom jewelry production. The SolidscapeDL will be presented at the Vicenzaoro tradeshow in Vicenza Italy from January 18 – 23 and is set to be commercially available from Q2 2019.